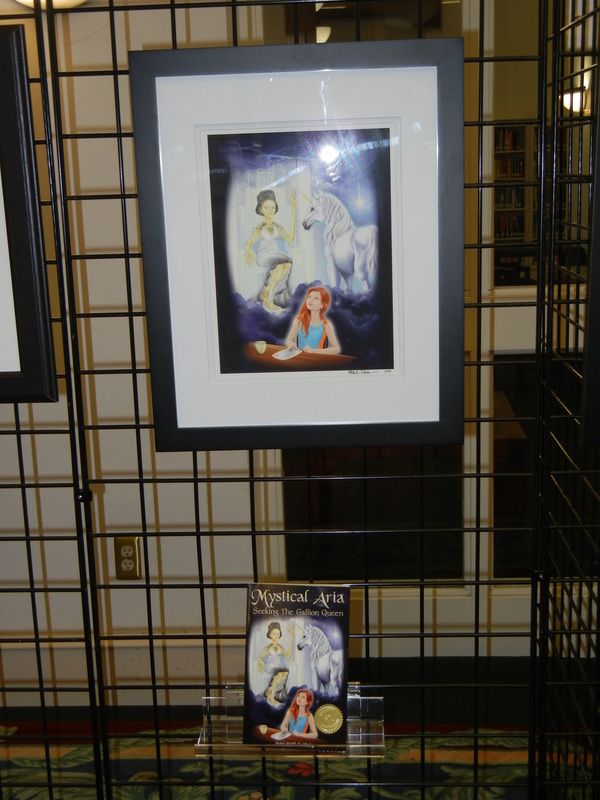 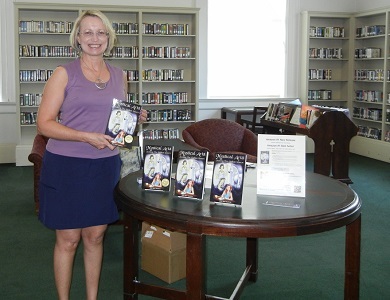 Author Jean Neff Guthrie at a book signing for “Mystical Aria: Seeking the Gallion Queen” in the Decatur Library, May 2016. 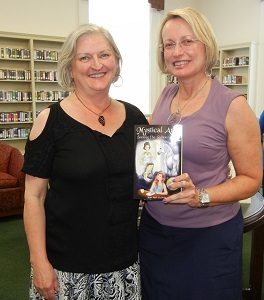 Lisa Michaels and Jean Neff Guthrie at book signing. 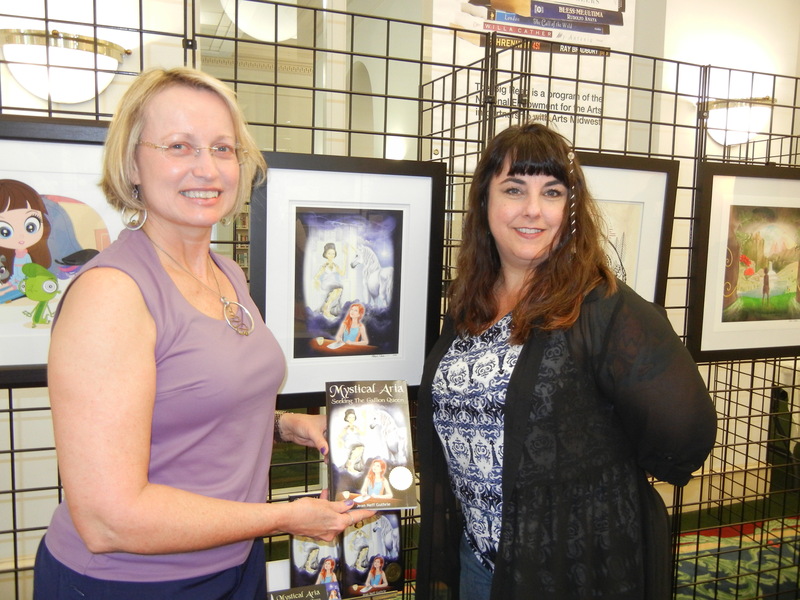 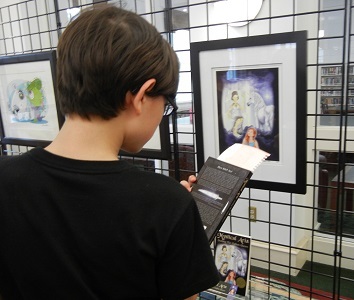 Author Jean Neff Guthrie and illustrator Michele Phillips at Gallery Show of book covers in the Decatur Library, May 2016.